In a world surrounded by media, it is easy to lose sight of the true definitions of words such as billboard and poster. They are easily interchangeable and can be muddled up. However, billboards and posters are distinctly different in purpose, size, regulation and placement. Knowing the differences means you can distinguish between them more effectively. A billboard is used to advertise a product or service, whereas as a poster presents more educational and information material. It may be used to teach something. A billboard conveys a simple message using a few images and a limited amount of text. In comparison, a poster tends to be much more detailed. It might contain a graph, numerical box or set of instructions. Posters can be used for advertising like a billboard, but it tends to be for an event rather than a brand. Therefore the poster also includes the time, entertainment, location and cost of the particular event. 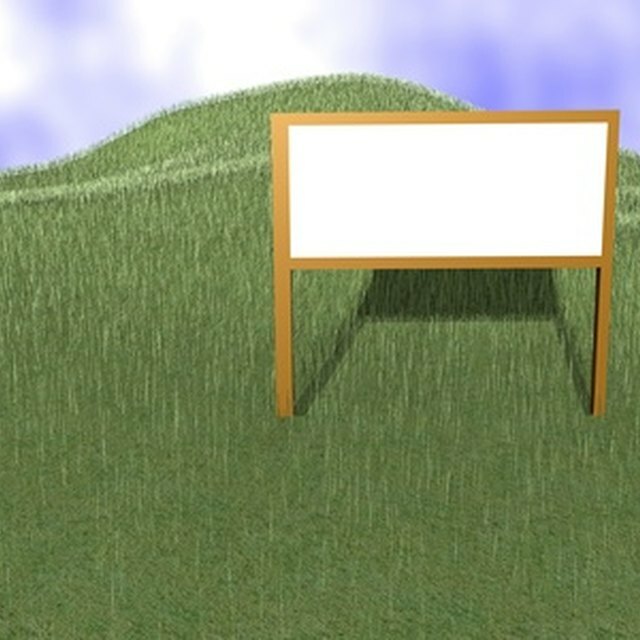 Billboards are seen along the side of a road since they are an off-premise form of advertising. It is not a large sign which is present on the same property as the shop or factory it relates to. Billboards can be seen on the side of a building or structure, like a bridge. In comparison, a poster is likely to be placed on pin board or included in a display of other information. Posters are seen in more localized areas such as shop window or pinned to a tree or wall. Size is an obvious difference between a billboard and poster. Technically, a billboard can be any size. However, most billboards are large, obvious signs along the edge of a road. In busy areas such as Piccadilly Circus in London, or Times Square in New York billboards contain lights or three-dimensional projections. Conversely, a poster is small and manageable. It is likely to be produced by an individual or printed on a smaller scale, and therefore limited in size. It is big enough to contain the summarized information or bullet points necessary to convey the information. There is regulation surrounding the use of billboards. Local and state authority rule over the use of billboards, and a permit may be required to erect one. State rules are based on the federal law governed by Lady Bird Johnson Beautification Act of 1965. This act restricts the use of billboards along highways. Posters differ in this sense because they are used within a community level, at a school or within a specific area. A permit is not required. Certain areas do have restrictions on where you can put posters up in public spaces. Eastern Oregon Univesity: What Is A Poster? SIL International: What Is A Poster?